Financial crisis 2016 was predicted by Robert Kiyosaki when he first published his Rich Dad’s Prophecy in 2002. He described this financial crisis 2016 is a giant stock market crash. He also predicted quite accurately that the preliminary crash back in Oct 2007 just before Lethman Brother’s scandal and sub prime crisis erupted to shake the global financial system. With such past accurate prediction by Robert Kiyosaki, will you believe in his financial crisis prediction in 2016? Watch what he has to say…. Want to see Robert Kiyosaki Live In Singapore on 29 November 2015? 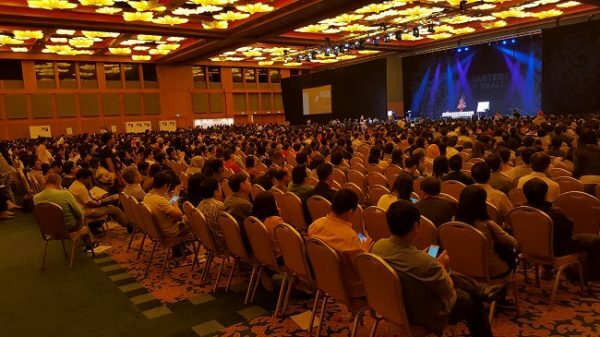 This is only one full day event and I bet you really won’t want to miss this financial crisis 2016 prediction event at Resort World Sentosa. You will learn from Robert Kiyosaki and other six gurus. If you are reading this post now, you might have already missed this Robert Kiyosaki’s Nov 2015 live event and the value investing session. It is not too late to start learning new skills like value investing. Sign up our free value investing seminar now using the form at the right side.